Trying to get your taxes done in the last possible second? We see you, and we’ve got your back. In the spirit of brevity, here are the three biggest tips to get your taxes done and your refund in hand with time to spare. The most time-consuming part of filing your taxes is getting your “tax stuff” together before you sit down. Whether you’re upending a filing cabinet for paperwork that came in January or slogging through password resets that you haven’t used in a year, the whole process can bog you down. If you want to get your taxes done fast, get all your records, bank statements, logins, and mailed forms within reach before you sit down. Not sure what to grab? We’ve got a checklist for that. 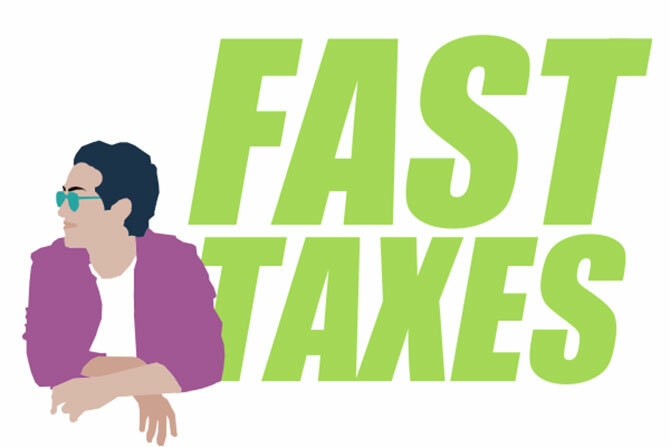 Doing stuff online is faster than paper, and that goes double for filing your taxes. Not only do you get to fly through your return without handwriting to slow you down, but you also get instant accuracy checks, automatic math calculations, and a helpful process to walk you through. Even the IRS prefers e-filing, because the digital returns are already formatted for its review system. Instead of processing paper forms, its electronic review system does all the work without human intervention. Plus, the error rates on e-filed returns are significantly lower than paper returns. Most taxpayers even file in less than an hour with 1040.com, especially if you have all your info handy—so if you followed step one, you should be good to go! Why wait for a check to crawl its way across the country when you can just have the IRS (and your state, if you have a state refund) drop your money straight into a bank account? Enter your bank info at the end of the filing process and you can get your refund as soon as it’s issued. All in all, filing your taxes the fastest way possible boils down to preparing on the front end, filing online, and getting your refund direct deposited. Now you know how to beat that upcoming tax deadline, especially when you file your taxes with 1040.com.